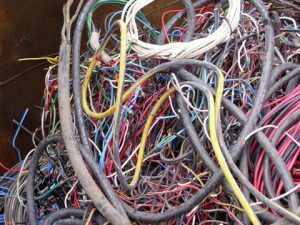 Copper wire that is at least 16 gauge with no coating on the copper wire such as laquer, shellac or tin. 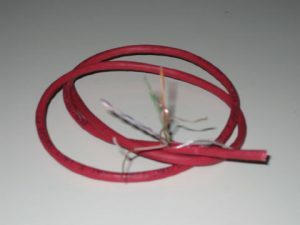 Copper wire that is less than 16 gauge or has a tinned, laquered or shellac coating. 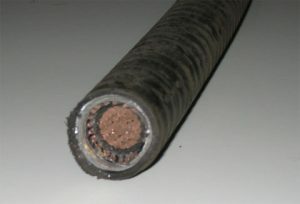 Plastic outer casing with number 2 insulated wires inside. 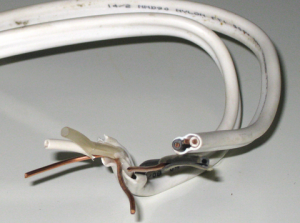 Aluminum outer casing with Number 1 insulated wires inside. 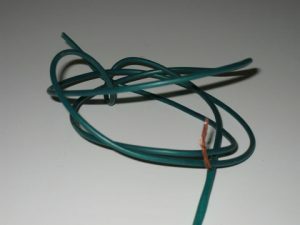 Plastic outer casing with number 1 Romex insulated wires inside. 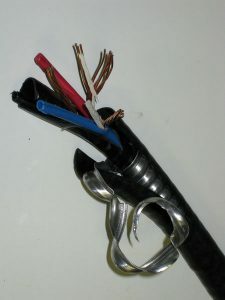 Plastic outer casing over aluminum armour with cables of number 1 insulated wire inside. 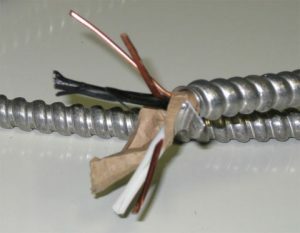 The insulated wire may be of various sizes. Plastic outer casing over aluminum armour, inside of which, is another plastic casing with copper at the centre. The copper may be of various sizes.